We are excited to welcome Vicki Bellino to the Jolly Jabber for the first time ever! 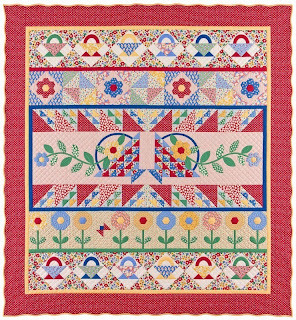 Her new Aunt Grace Garden Party Block of the Month begins shipping at the Fat Quarter Shop in mid-September so make sure to reserve your spot before we sell out of this wonderful Block of the Month. Hello everyone! My name is Vicki Bellino and my pattern company is called Bloom Creek. Together with Marcus Fabrics, Judie Rothermel and I will be kicking off our brand new Aunt Grace's Garden Party Block of the Month program in just a few weeks. 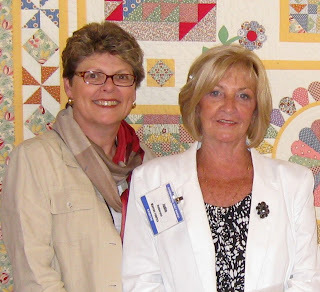 Judie Rothermel and I have become good friends over the years and learned that we both have an aunt who has had a major influence on our lives – Judie’s Aunt Grace and my Aunt Janet. 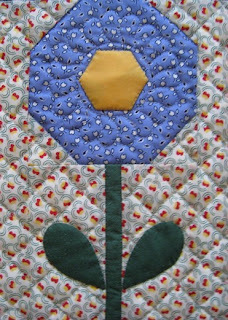 After introducing our first Aunt Grace BOM, Circle of Friends, at quilt market in May 2010, we immediately began collaborating on a new concept for the next one. We discussed the color palette Judie had in mind which would be used in a variety of small to large-scale florals and flower prints. 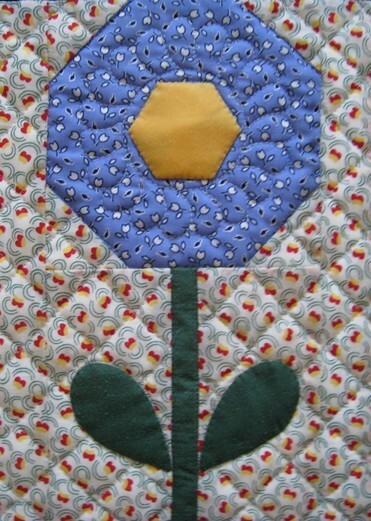 After learning that both of our aunts were not only avid quilters, but shared a love of gardening and belonged to their local gardening clubs, it was a natural choice that Garden Party would be the theme of the next BOM. We also agreed to “change up” the typical BOM concept by using a block each month to make a horizontal row. This six-month BOM includes several different techniques with easy-to-follow instructions and diagrams. I hope you enjoy participating in this program as much as I did designing it!